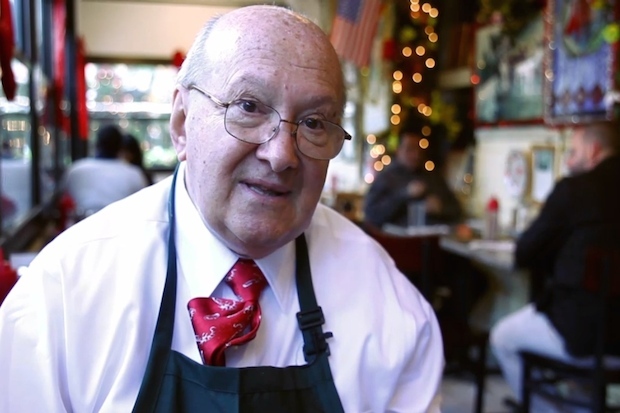 On Tuesday, November 4, Gus Vlahavas, known to generations of Prospect Heights community members as the proprietor of Tom's Restaurant on Washington Avenue, passed away at age 76. Founded by the Vlahavas family in 1936, Tom's is one of the neighborhood's most established businesses and cherished institutions. Many loyal customers line up around the corner on Sunday mornings for brunch, and Gus often served them cookies and orange slices while they waited. Gus' kindness and generosity of spirit were as much of a part of his restaurant as its cherry lime rickeys and vintage decor. There will be a wake for Gus on Sunday, November 9 from 2-4 pm and from 7-9 pm at Cobble Hill Chapels on Court Street and Dean Street in Cobble Hill. Memorial services will be on Monday, November 10 at 9:30 am at St. Constantine and Helen Church, 64 Schermerhorn Street in downtown Brooklyn. Remembrances of Gus can be added to a memorial Facebook page. The Department of Transportation yesterday installed three new bike corrals on Vanderbilt Avenue. The corrals had been requested by the owners of Milk Bar, Branded Saloon and Bar Chuko. 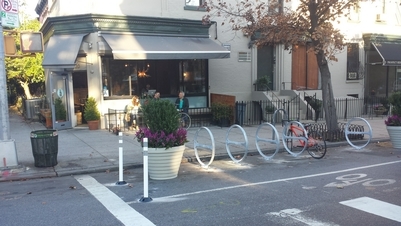 A survey of almost 400 residents and business owners conducted by PHNDC found that 96% approved of the addition of the bike corrals to Vanderbilt Avenue; their installation was approved by Community Board 8 in September. Although merchants hosting the bike corrals in front of their businesses are obligated to maintain them with plantings and keep the curb area clean, any cyclist may park there, regardless of whether he or she is a patron of the hosting merchant. Thanks to Bar Chuko, Branded and Milk Bar for their initiative to make Vanderbilt Avenue safer and more friendly to cyclists! 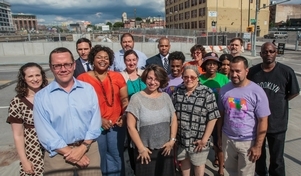 Since its founding in 2004, the Prospect Heights Neighborhood Development Council has advocated for a greater role for the community in the Atlantic Yards project. We have fought to hold the developer and the State accountable for the commitments each has made to the public. Those commitments include not only promised benefits like affordable housing and open space, but also measures to be implemented to reduce impacts from construction on the project’s neighbors. Today, PHNDC and other sponsors of the BrooklynSpeaks initiative announced an agreement with the Empire State Development Corporation (ESDC) and developer Forest City Ratner Companies (FCRC) that will result in several important changes to the Atlantic Yards project. Each of the merchants made their case for why a bike corral in front of their business would be good for the neighborhood. After a spirited open discussion, the Transportation Committee voted overwhelmingly to recommend approval of all three applications to the full CB8 board. The full CB8 board is expected to vote on the applications at its next meeting (September 2014). If the applications are approved by the full board, the DOT expects to install the corrals within a few weeks. Last night at a Vision Zero Town Hall in Crown Heights, Brooklyn, New York City Department of Transportation Commissioner Polly Trottenberg announced that Atlantic Avenue will be among the first 50 priority corridors slated for safety engineering and improvements. 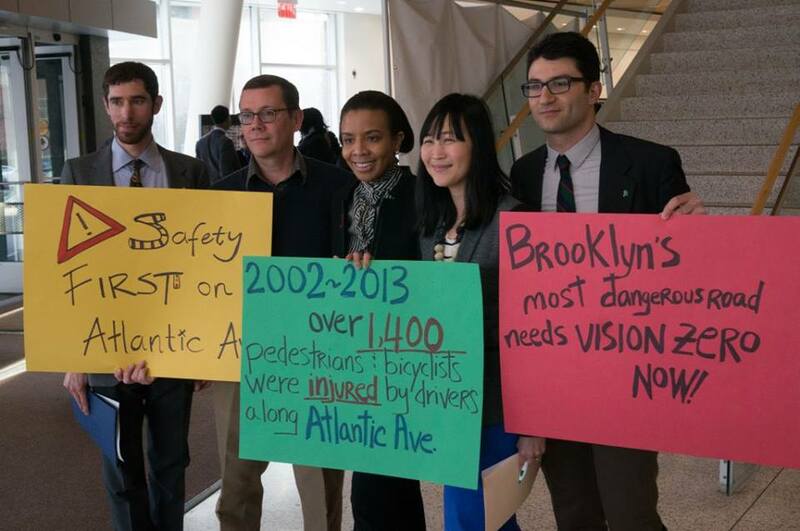 The announcement was the culmination of an eight-month-long campaign by environmental, transportation and community advocates to urge the City Council and the new administration to prioritize safety improvements on Atlantic Avenue. Commissioner Trottenberg made the announcement at a DOT-sponsored Town Hall at Medgar Evers College on Thursday evening. 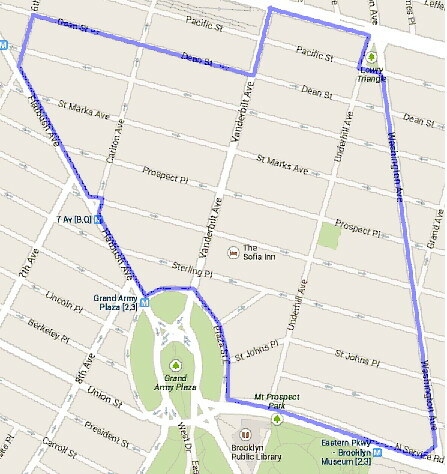 On October 10, Mayor Michael Bloomberg and Department of Transportation Commission Janet Sadik-Khan announced that Prospect Heights would be among the 15 New York City neighborhoods chosen for the expansion of the Neighborhood Slow Zone (NSZ) program. 74 communities had applied to be included in the NSZ expansion, under which speeds on local streets are reduced from 30 mph to 20 mph in conjunction with other traffic calming measures. Slow Zones also seek to enhance quality of life by reducing cut-through traffic and traffic noise in residential neighborhoods.